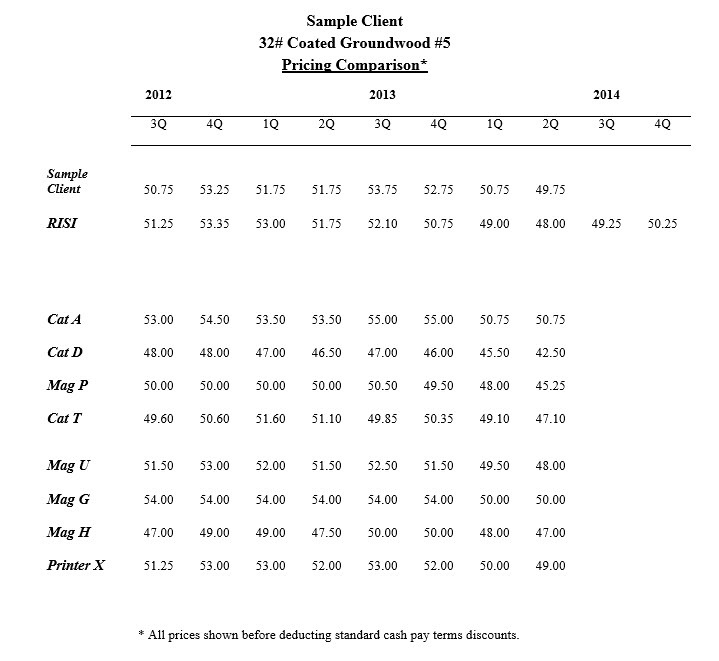 Because Lufkin Strategic Procurement serves both publishing and printing clients across the catalog and magazine industries, we can offer you a unique service: paper price benchmarks to evaluate your paper costs against comparable businesses. Rather than relying solely on average market indices, you gain specific insight into what companies like yours have actually paid for paper like yours. This diagnostic tool provides hard data for establishing your paper purchasing strategy, giving you contract negotiating power. You can receive it as part of our comprehensive Paper Purchasing Strategy or as a stand-alone quarterly service. 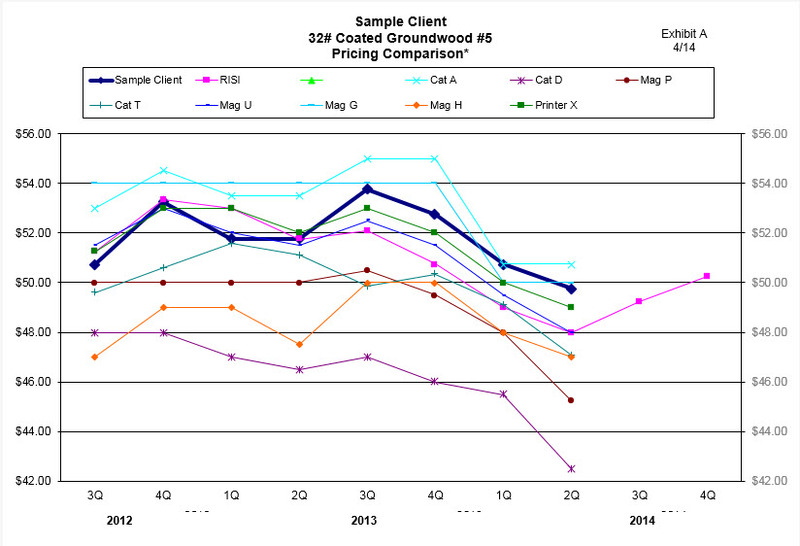 Similar benchmarking is also available for printing prices and paper requirements. Contact us to discuss how Paper Benchmarks would benefit your business.